Our buisiness contributes to the betterment of the world by trading goods. We maintain a sense of responsibility for these goods as they travel across the sea, until they are delivered on time and provide full satisfaction to our customers. We accomplish our tasks with a personal commitment to the total satisfaction of our customers, as well as our suppliers. We thereby take pride in knowing we have made a positive contribution to our global society as a whole. 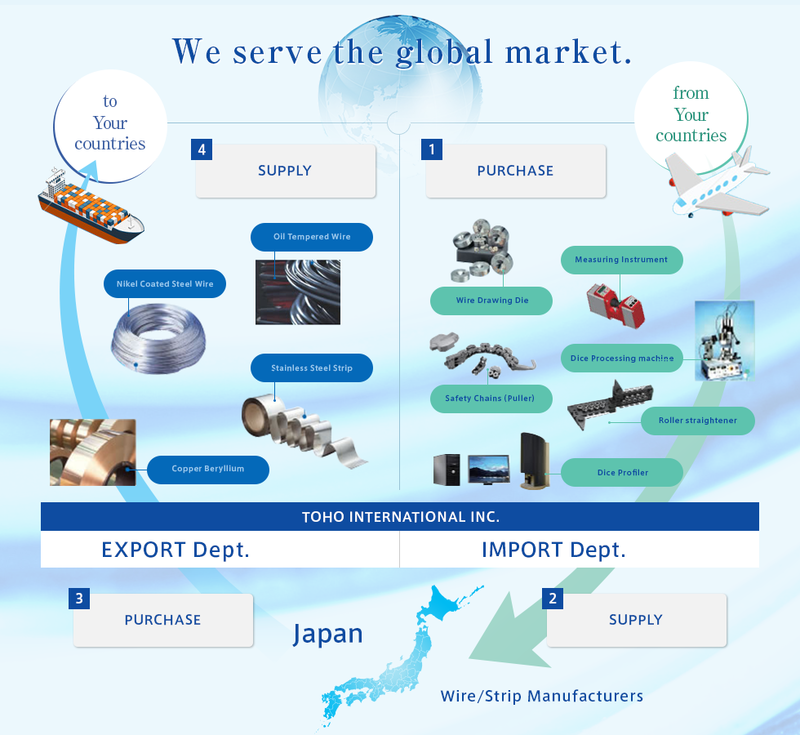 We import and distribute the essential tools and equipment in the wire & cable industries, such as Wire Drawing Dies, Cold Pressure Welders, Precision Die Tools, Optical Instruments for die and wire measurements, etc. supplied by first-class manufacturers in the USA & Europe. All goods are globally advanced and qualified, and we offer reliable and comprehensive service to every customers. 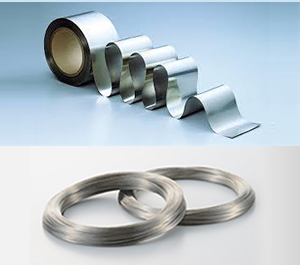 Oil Tempered Alloy and stainless steel wire for important parts of a car such as the valve springs of an engine, suspension springs or so in an automobile. 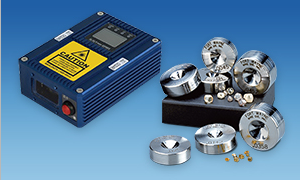 Various types of wires and special alloy strips with/without high precision coating are widely used as electronic springs and electric components.